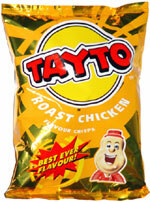 Taste test: These potato chips were thick and crisp, and Tayto generously packed a whole lot of chips into this tiny bag. They really did taste like roast chicken. 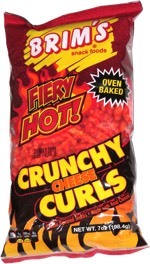 Some tasters were skeptical at first, but once anyone took a few bites, these chips became a popular choice around the chip bowl. Smell test: Great roast chicken smell. Very authentic.